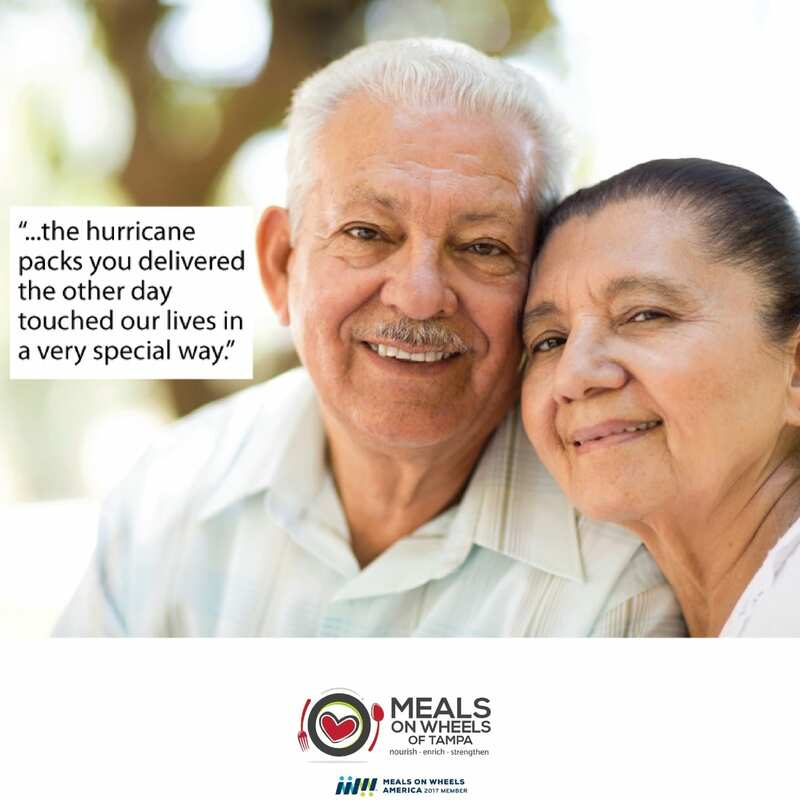 As hurricane season approaches each year, Meals On Wheels of Tampa provides all of their recipients with a Hurricane Preparedness Pack. The pack contains 5 shelf stable meals, a gallon of water, a shelter application, and an emergency resource guide. Community groups and individuals gather on the 3rd Saturday morning in May at Meals On Wheels of Tampa’s office to prepare each pack and hand out as volunteers drive up. The free pack is given to all recipients in case a disaster were to occur that prevents volunteers from being able to get meals out to recipient homes. Hurricane season is June 1st-November 30th each year. Volunteers deliver the packs between 9:30am-12pm on the 3rd Saturday in May each year. Recipients do not have to be home to accept the pack. 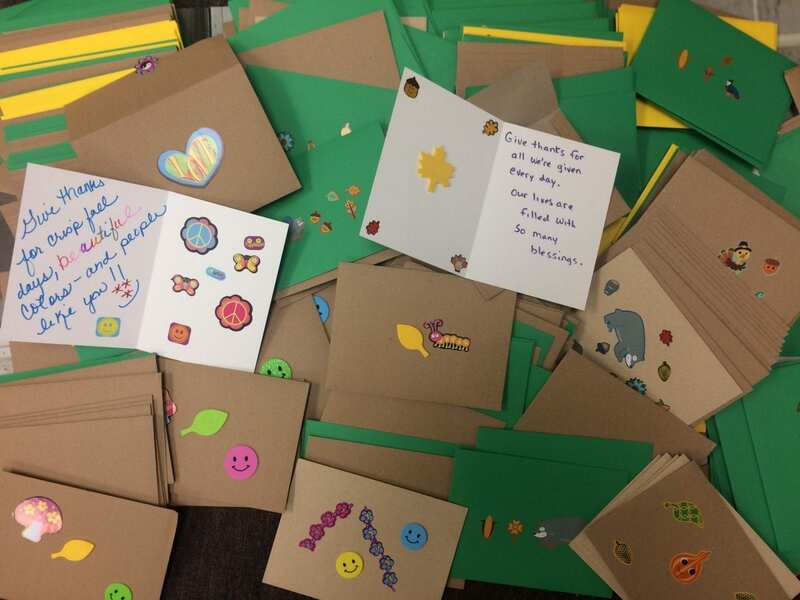 Every Thanksgiving morning, volunteers drivers are given the opportunity to deliver a special gift of handmade cards, sweet treats, and gift bags to more than 800 homebound seniors and disabled. Most of these elderly neighbors will spend the holiday alone, in their home. Volunteering to deliver a special gift to our recipients on this holiday morning is a great opportunity to help your community with friends or families. Children are welcome too! Many of our supporters have made the Thanksgiving Morning Delivery a part of their own family tradition. Volunteers will deliver the packs on Thanksgiving morning between 9:30am-12pm. For many of our recipients, family or friends are far or few. Age and lack of financial resources keep many of the elderly bound to their homes during the holidays. Meals On Wheels of Tampa is making the season extra special by assembling and delivering holiday gift bags to each recipient. This is our way of reminding our homebound and seniors they are not forgotten. Each holiday bag is filled with a variety of items, such as: a calendar, ornaments, healthy snacks, juices, personal items, and a special wrapped gift. Many recipients often say this is the only gift they get all season. 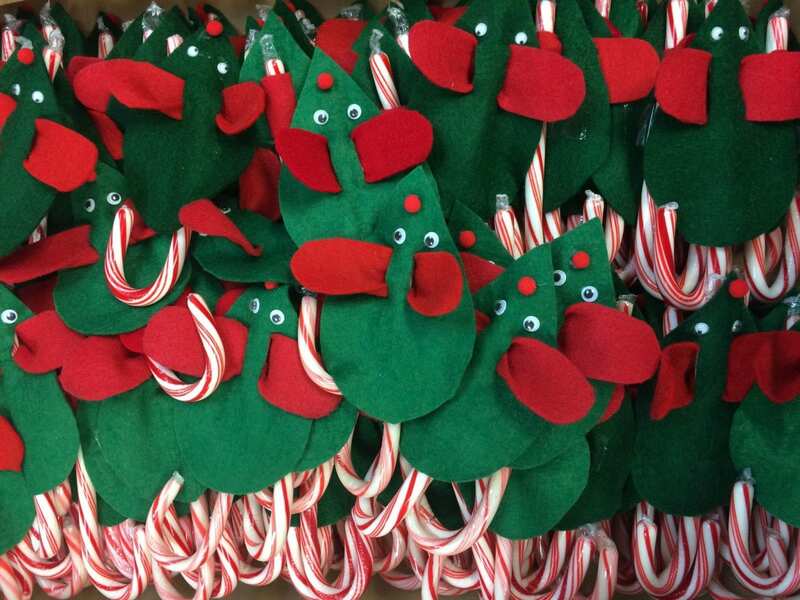 *These gift bags are made possible by the many donations received from the community. Volunteers will deliver the bags on the December 15th. Recipients do not have to be home to accept the bags. *Help us collect items for the gifts bags this holiday season. Donations for the gift bags may be dropped off at Meals On Wheels of Tampa’s office, 550 W. Hillsborough Ave., Tampa, FL 33603. Volunteers can give contributions to their truck driver or site supervisor at any of the MOWTampa pick-up sites. If you would like to place a festive collection box at your place of business, please call (813) 238-8410. Donations will be accepted through Monday before delivery. To volunteer for one of our seasonal opportunities, please complete a volunteer application, here.